It's every instructor's fear—What if you get up in front of them and they just watch? Blank stares. You ask, “How many of you blah blah blah?" And they all sit there. In silence. The entire burden of learning falling on your shoulders as the instructor. Don will share strategies and tips you can take back to your classroom to engage your passive and quiet audiences so that they interact and invest themselves more fully in their own learning. Don Heins has over 30 years' experience in foodservice operations and distribution creating and delivering both leadership development and sales training programs. He was most recently director of sales at Nicholas and Company in Salt Lake City. He has a passion for identifying and nurturing those individuals who wish to lead others through integrity and empathy. Through his company, Leadership Training Consultants, he assists companies in developing and implementing leadership development and sales training programs. Originally from Southern California, Don has been living in Salt Lake City with his wife and two daughters for 22 years. Come listen to our panel of LMS experts as they ease your concerns and talk about what you need to know when choosing the best LMS for your organization and learners. Do you have specific questions you want our panel to address? Send them to Yolanda. 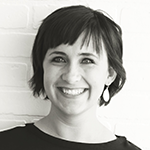 Kat Kennedy, Chief Product Officer at Degreed, is a problem solver, passionate about making great products that help people lead more productive lives. Kat has worked with top companies and brands in leading their properties to be the best in the industry. As part of the founding team at Degreed, she has helped build the company into an award-winning earning platform. She was awarded the Rising Star in the 2016 Women in Tech Council for her accomplishments in making significant contributions to technology. 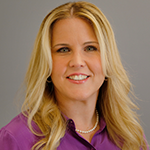 Melissa Loble serves as the Vice President, Platform & Professional Services for Instructure. In this capacity, she focuses on creating a technical infrastructure for all of Instructure's solutions that fosters robust learning ecosystems for their clients. She also leads Instructure's custom development practice and partnership organizations, both of which enable customers to extend their core platforms utilizing leading industry standards and innovative learning technologies. Melissa has spent 20 years in the educational technology world, working with a number of technology suppliers and educational institutions as well as teaching leadership courses focused on managing technology for educational change. Melissa earned her MA in educational policy from Teachers’ College, Columbia University, and an MBA in leadership from the Columbia Business School. 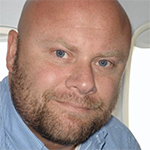 Jake White is the Founder/CEO of Torch LMS, a Utah-based provider of learning and development technology. He is a Certified Professional in Learning and Performance, accredited through the Association for Talent Development. 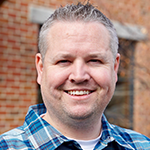 For over 15 years, Jake has worked as a workplace learning & performance professional.